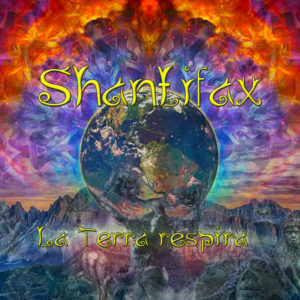 SarnarSchourt Records presents La Terra Respira, the fourth album from Shantifax, a multi-genre producer based in the Italian Alps. This album is a deep and spacey journey dedicated to Mother Earth. Again Shantifax combines digital and analog sounds to create his unique style that invites you to let go of any lingering negativity and open your mind. Mastering by Daniel AKA Elegy with cover art by Verri of Sarnarschourt. MP3 Download | FLAC Download | WAV Download · Download count: 8,577. Weather must be nice, I feel it. (check track#4 on Zoungla’s album, and compare it to track#1 here). Interesting how the same sample can sound different! Thanks for doing this man… Keep creating. Shantifax are back with this amazing blend of vocals with the immense power of the perfect progressif tunes ! !